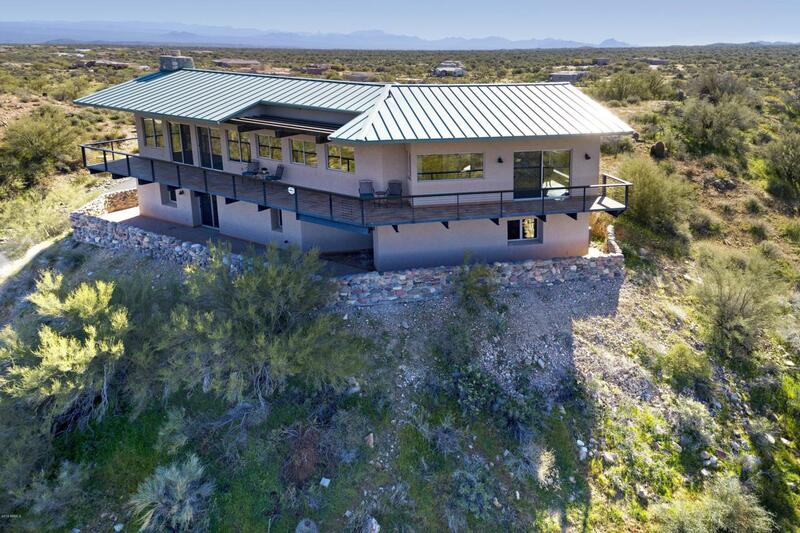 MOUNTAIN TOP home on over 12.7 ACRES w/ MAJESTIC 360 DEGREE VIEWS of surrounding mountains makes this one of the PREMIER PROPERTIES in N. Scottsdale! This light-filled home is an ENTERTAINERS DELIGHT! 2,986 SF, 3BD/2.5BA, Den & an expansive Kitchen open to Great Room & Dining ALL w/AMAZING VIEWS! One of the select Scottsdale homes to boast it's own mountain top! Looking for a place to create your own ranch or estate? This is it! Enjoy year round sunset kissed skies & cooler temperatures at an elevation over 2,480 feet! Plenty of room to expand! Horses welcome! For the Investor - Developer Walk this AMAZING PROPERTY & imagine the possibilities. Zoned R1-130 5 lots for 554,539SF of Land ! Also available as over 5 Acres & Home MLS#5876144 or 7.5 Acres of land MLS#5876163 Watch the VIDEO!